Online timer, stopwatch, alarm clock and inspirational quotes! 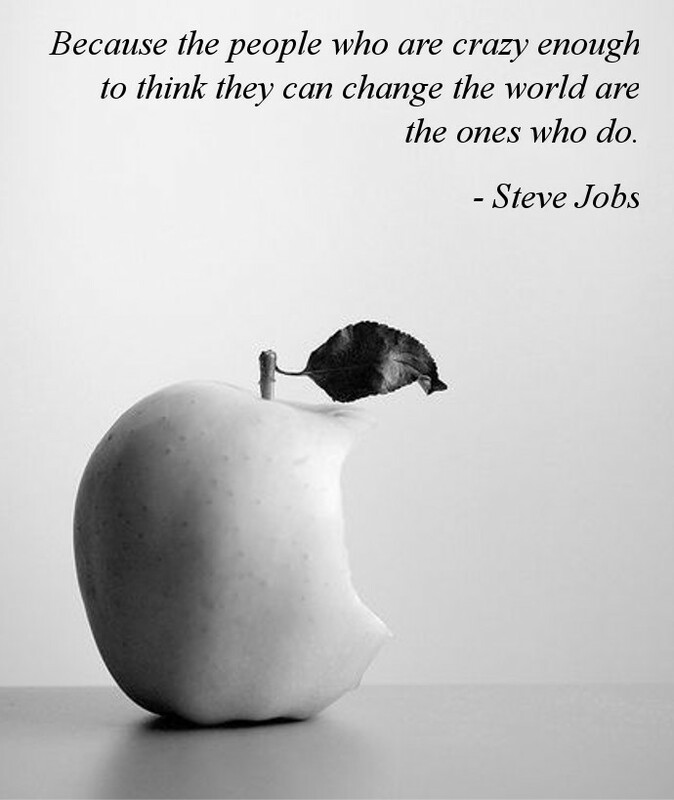 This is such a remarkable quote that gives great insight into the mind of someone that has forever changed the world, Steve Jobs. The world seems daunting and deservedly so because it is large and has billions of people all with their own thoughts and aspirations. Thus it is no surprise that the cliche "you must be crazy to think to change the world" has been so widespread. But this quote by Steve Jobs, who helped make Apple one the largest companies in human history, flips that cliche upside down and says that yes in fact you must be crazy to have such an imagination. This is not to say that you must have impossible expectations, but because we are so conditioned to accept the statuos quo in our lives that to have thoughts of changing it requires thinking far differently that everyone around us. Thus the people that have the biggest impact on the world are those that stand out and are even perceived as a little crazy. But don't let this stop you and remember that if others think your ideas are too ambitious, it is because there ideas might be too small. Subscribe for Daily Inspirational Quotes!